The best part about Realme 2 Pro is its performance! Oppo’s sub-brand RealMe is already a big hit among smartphone users. Now, Realme 2 Pro has just been launched, and fans are already excited. We did a hands-on review of this new sizzling handset, which will help you to make a better decision. Is this smartphone a piece of art? 1 Realme 2 Pro Unboxing: What’s Inside? 3 Realme 2 Pro: What In-and-Around The External Body? 4 Realme 2 Pro: Booting Up The Beauty! 6 Realme 2 Pro: Using The Actual Phone! 7 Realme 2 Pro: Camera, Audio, Video Quality? Realme 2 Pro Unboxing: What’s Inside? As we held this new offering from Realme, we found it simply scintillating – It is a piece of art! The body looks beautiful and elegant. In the back, there is a composite material which shields the phone, and it is not glass. 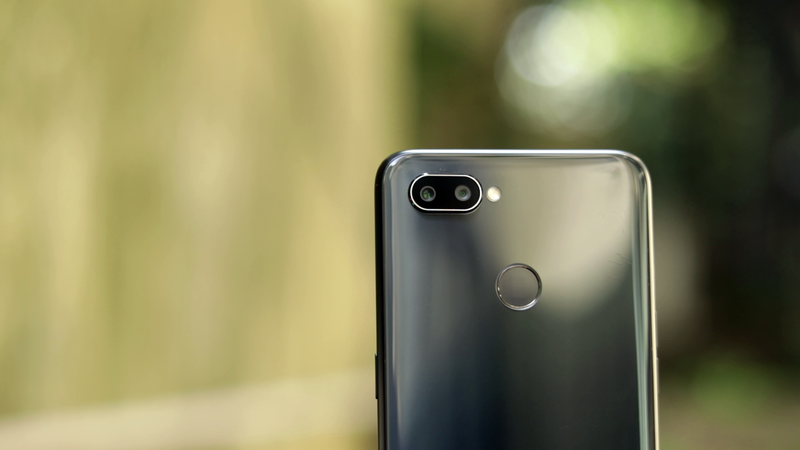 The phone perfectly slides into the hands, and when you actually observe it closely, you will get that premium feeling of holding a top-notch smartphone. As the backside is shiny and glossy (but not glass), it can become a fingerprint magnet. Hence, we advise using the TPU case to protect it. Note here: Diamond cut was a signature design of previous Redmi models, but Redmi 2 Pro doesn’t have that. 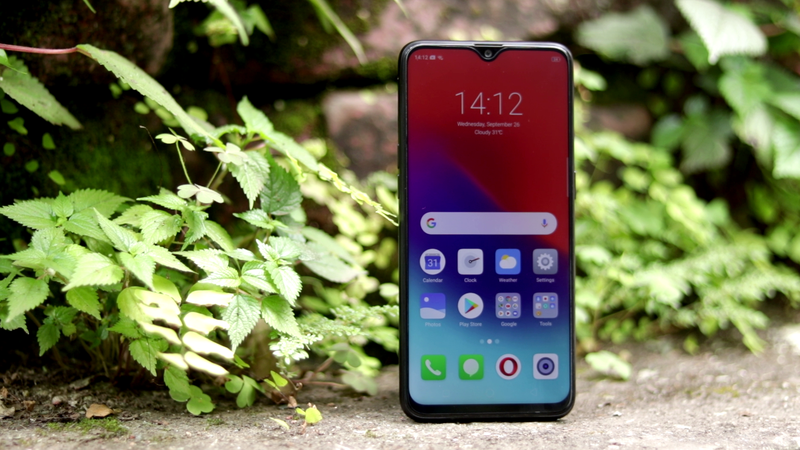 But still, the new design which Oppo has introduced doesn’t make you feel as if something is missing. 8/10 on the design, looks and feel part! Realme 2 Pro: What In-and-Around The External Body? All these 4 features have been perfectly aligned in the bottom. The right-hand side has only the power button, and the upper portion has noise canceling mic, and on the left-hand side has volume buttons, and SIM Card tray, which has a dedicated memory card tray. Realme 2 Pro: Booting Up The Beauty! As we switched on this handset, and booted it up, we couldn’t help but compare the first view with an iPhone – almost similar wallpaper, and look and feel. The screen is an absolute beauty, drop-dead gorgeous with 6.3-inch FHD display and 19:9 aspect ratio. Now, the notch: It’s drew-drop! Several bloggers have earlier claimed that the notch is water-drop, which turns out to be false. Now, we actually wondered why the display is so crisp and clear? The reason is 410 PPI pixel density, which projects the visuals in the most mesmerizing manner. The colors are saturated, bright, and very high quality. With screen to body ratio of 19:8, we have more screen space and more visuals. Considering the price, which is sub-Rs 20,000, this is an admirable job done by the team at Oppo! Oppo has fired in Qualcomm Snapdragon 660, which gives you a speed of 1.96 Ghz! For a price band of sub-Rs 20,000, this is simply blazing fast. Infact, Oppo has clearly beaten Xiaomi in this regard. The OS is Color V5.2, which is based on Android Oreo 8.1. We are expecting a new update to this OS very soon. Realme 2 Pro: Using The Actual Phone! The touch and the swipes are fast, snappy, and very satisfying. The processing power of Qualcomm Snapdragon 660 certainly makes the handset very responsive, and fast. Even the fingerprint sensor works fast, and we calculated the time taken around 0.05 seconds to unlock the phone. We opened 15-18 apps, and then used the smartphone – There was no lag at all. Realme 2 Pro: Camera, Audio, Video Quality? For a sub-Rs 20,000 smartphone, the audio is surprisingly loud, and clear. The video experience was quite immersive, mainly due to the amazing screen to body ratio, and the processing power of Qualcomm Snapdragon 660. When it comes to the camera, then in the rear, we have 16 MP Dual AI F1.7 aperture with Sony sensors. In the front, we have 16 MP ‘AI Beauty’ camera, which promises a better version of you, on the screen! We clicked few images and found the camera pretty good. Now, we won’t say that its better than Mi A2, but yes, it gives a good fight none-the-less. Now, the most important aspect: Price. Final Thoughts: It is not only a piece of beauty, but a killer. If your budget is under Rs 20,000, then Realme 2 Pro is highly recommended. The best part? Performance, and its looks. 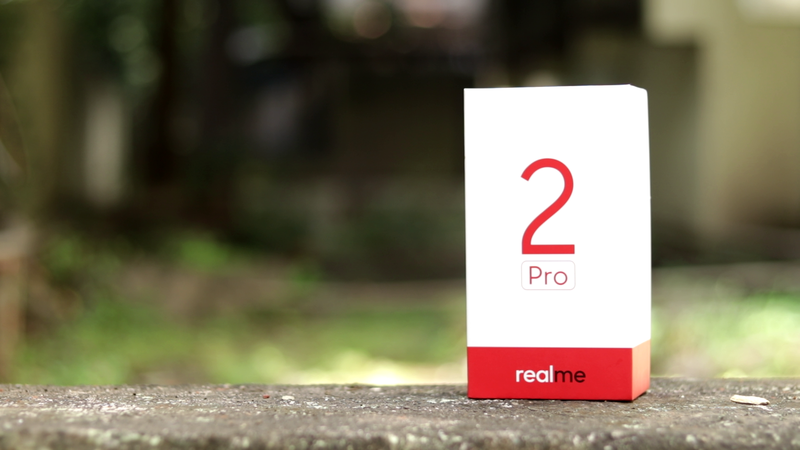 Are you going to buy Realme 2 Pro? Do let us know by commenting right here!